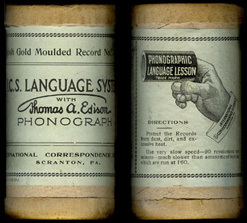 Language laboratories were made possible by Thomas Edison's invention of the tin foil phonograph in 1877. At first, spoken word cylinders were made primarily to preserve rare languages such as Native American culture. 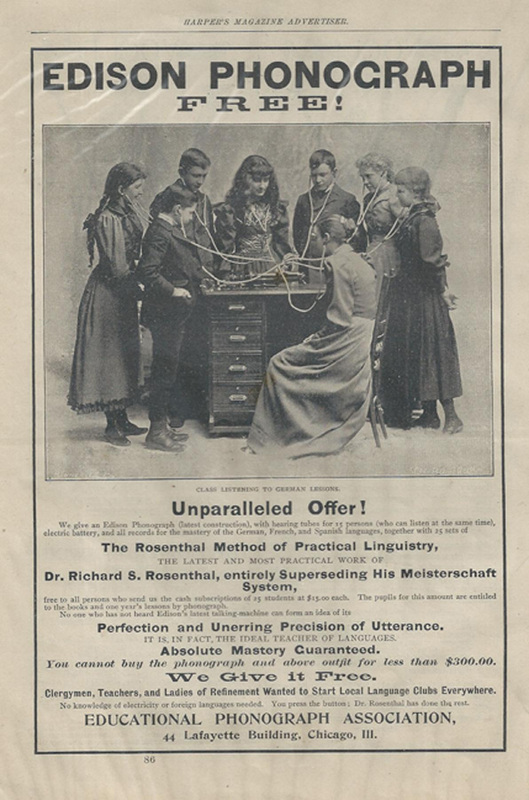 However, another practical application of the phonograph was suggested by Dr. Richard S. Rosenthal, a specialist in linguistics who developed the Eosenthal Method of Practical Linguistry. 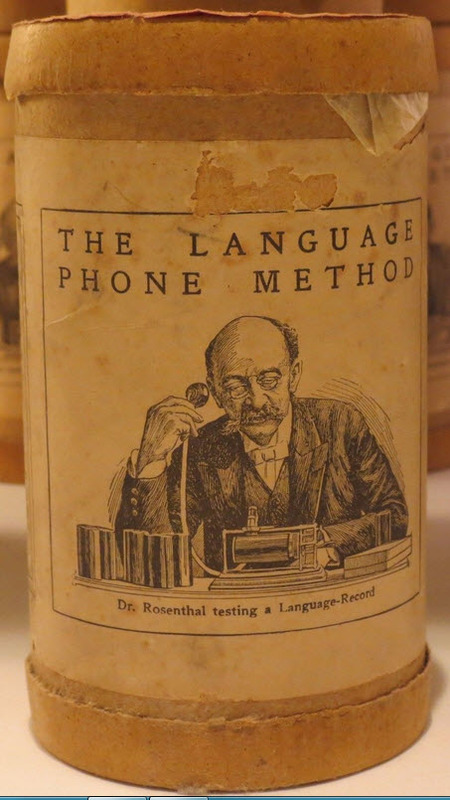 He believed the instruction of foreign languages would produce satisfactory results in labs and correspondence schools using The Language Phone Method.. The earliest known foreign language instruction cylinders were issued by the Cortina Academy of Languages on Edison cylinders in 1899. 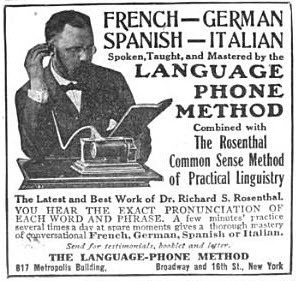 Additional records were manufactured by Columbia, Edison, and the U-S Phonograph Company for the International Correspondence Schools, R. D. Cortina Company, and Dr. Richard S. Rosenthal's International College of Languages. They were issued as sets of 24records in French, German, Italian, and Spanish from 1901 to 1921. Uses of the phonograph. (1891). Current Literature. September - December, p.297.